Notice of Election and Demand (NED). Original Evidence of Debt with all assignments/endorsements. Deposit of $300.00 to $650.00. The documents must be submitted by a Colorado-licensed attorney representing the lender of the loan in default. The Public Trustee records the Notice of Election and Demand (NED) within ten business days after receiving the documents from the lender’s attorney. Recording of the NED starts the foreclosure process. The Combined Notice of Sale and Right to Cure and Redeem is sent to the parties on the Initial Mailing List. The mailing list must include all parties whose interests appear in an instrument recorded subsequent to the foreclosed Deed of Trust and prior to the recording of the NED. Two mailings of the Combined Notice are required. The Combined Notice must be mailed no more than 20 calendar days after recording of the NED to those persons and addresses on the initial mailing list. The Combined Notice must be mailed again to persons on the amended mailing list or if no amended mailing list to the persons on the mailing list 45 to 60 calendar days prior to the first scheduled sale date. The Combined Notice is published for four weeks (five consecutive weekly publications) unless a longer period is specified in the Deed of Trust or other lien being foreclosed. The Public Trustee sets the sale date to be not less than 110 calendar days and not more than 125 calendar days from the date of recording of the NED for residential properties. For agricultural properties, the sale date is set not less than 215 calendar days nor more than 230 calendar days. A listing of all foreclosures going to sale is available for viewing at the Public Trustee office or on the Weld County Public Trustee web site at www.wcpto.com. Foreclosure sales are conducted each Wednesday promptly at 10:00 a.m. at the office of the Weld County Public Trustee at 1701 23rd Avenue, Suite 250, Greeley, CO 80634. Parties interested in bidding must be personally in attendance at the sale and bid at least $1.00 over the lender’s submitted bid. Cash or certified funds for the full amount of the bid must be tendered to the Public Trustee no later than noon on the date of the sale. After the Public Trustee is assured that funds are collected by it, a Certificate of Purchase will be issued by the Public Trustee and recorded at the office of the Weld County Clerk & Recorder. The original Certificate of Purchase will be retained in the Public Trustee’s office. There will be no duplicate Certificate of Purchase and the successful bidder will not receive a Certificate of Purchase from the Public Trustee office. A copy of the recorded Certificate of Purchase can be purchased at the office of the Weld County Clerk & Recorder. After all redemption periods have expired, a Public Trustee’s Confirmation Deed will be issued. The interest under the Certificate of Purchase is fully assignable in writing. Written Assignments of the Certificate of Purchase should be recorded prior to being provided to the Public Trustee so that an accurate Confirmation Deed may be issued. 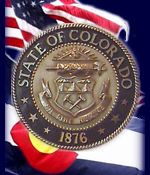 Copyright © 2008 Weld County Public Trustee's Office, All Rights Reserved.